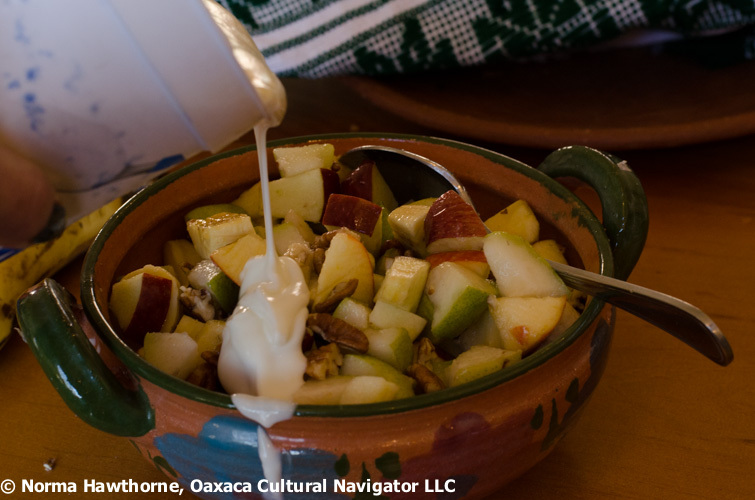 This entry was posted in Food & Recipes, Oaxaca Mexico art and culture, Oaxaca recipes, Teotitlan del Valle and tagged apples, Christmas, fruit salad, Mexico, Oaxaca, pears, recipe, yogurt. Bookmark the permalink. Mmmmm….this fruit salad recipe sounds yummy! Sounds like it would be good for breakfast too – can’t wait to try it. Hi, Lola. On the last edition of this recipe I added mandarin orange slices cut in 1/2 and about 12 spiced/poached crab apples quartered and seeded, and small pieces of fresh pineapple. 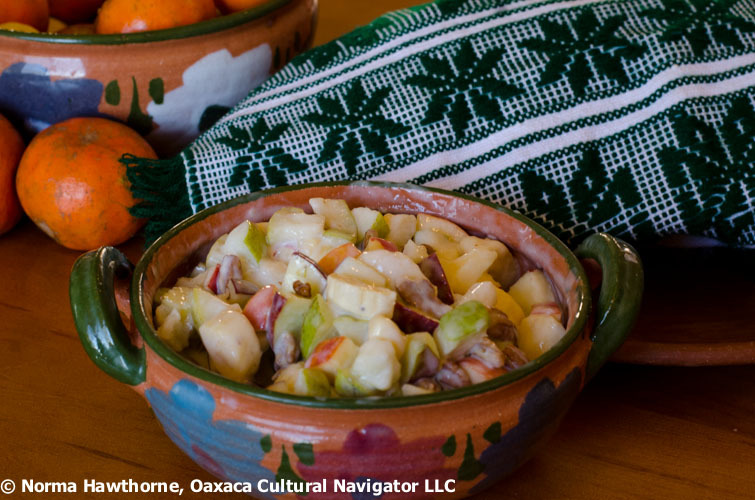 We can get the crab apples in our local village market here in Mexico. Muy rico. Hope you enjoy it. Thanks, Monika. Tonight, I brought it to a Christmas potluck dinner in the village and added mandarin orange slices. Yummy. I think candied kumquats, diced, would be good, too. Great to hear from you. 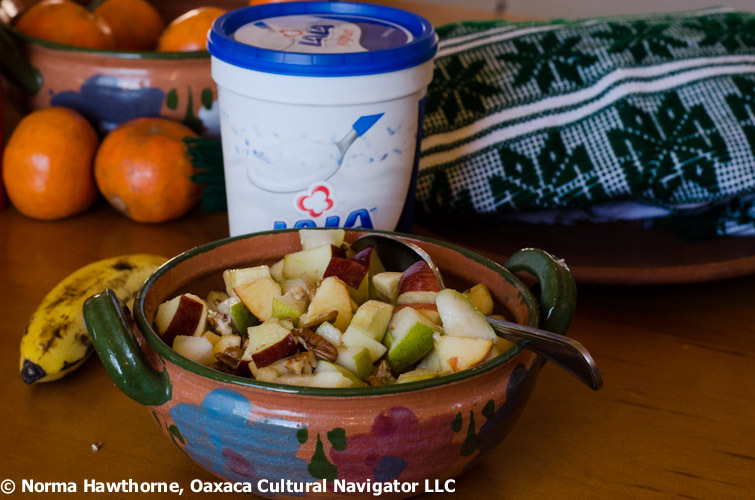 When are you and Richard returning to Oaxaca?